The legality of using a VPN is determined by the country, and illegal vs legal use, is in most cases, a grey area. VPN use is prohibited in Turkmenistan, Iran, Turkey, China, Belarus, Russia, United Arab Emirates and North Korea. ir current opinions for VPN service use, although it is matter than can change at any given time. VPN use is legal in Afghanistan, and recently the government made news when it instructed Internet Service Providers to filter objectionable categories of sites and to ban offensive sites. The Afghanistan government is particularly strict when it comes to sites related to alcohol and gambling. In Albania, the use of VPNs is still legal since the constitution still protects the freedom of speech of the citizens and the press. The government is not trying to infringe on citizens internet use rights. Internet Service Providers in Algeria has to control online content according to legislation, and there have been several instances of sites being blocked by the Algerian government. Even though the use of VPNs is legal, the government have previously blocked all political opponent sites and social media sites. The Andorra Government, according to the Human Rights Report of 2016 have not restricted access to internet and citizens are afforded uncensored use while VPN use is not banned, while round 79% of the citizens in Andorra use internet on a regular basis. The Angolan president cracked down on social media in November 2016, and the Press Law that was passed could have a huge impact on free speech. VPN use is still legal in the country. In Barbuda and Antiqua there are no restrictions on internet use, and the use of VPNs are legal. Proposals have been filed to allow online censorships by law although no laws have been passed and the use of VPNs are still legal. Reports of blocked sites by the government have surfaced during times of political arrest as well as concerns regarding internet filtering, although VPN use is still legal. VPN is legal, and in Aruba, the use of the internet is not restricted. The government of Australia is allowed to block the use of Torrenting and other sites, and all telecom companies are required by law to record user data. VPN use enjoys a huge increase in the country and is legal to use. Freedom of speech is promoted in Austria, and VPN use are legal. Activists have been arrested and punished by the government and internet censorship is applied in the country, which includes independent news outlets and social media sites while VPN use is still legal. Several attempts have been made to implement internet censorship although no laws have been passed and it is legal to use VPNs. There is censorship in the country and under the Telecommunication Regulatory Authority have full authority over the blocking of websites while VPN uses is currently allowed. The government has banned social media sites in the past, and the internet has been completely shut down previously although VPN use remains legal. Citizens in Barbados can enjoy internet services without any restriction, and the use of VPNs are legal. VPN and Tor use have been added to limited access sites in 2015. In 2016 Tor was completely blocked and the government also cracked down on VPN use, which is currently not legal. Several cases of internet censorship have been reported although the use of VPNs is currently still legal in Belgium. The government has blocked VoIP, and there is internet restriction in Belize while it is still legal to use VPNs. The government has not attempted to censor internet use in Benin, and it is legal to use VPN services. Objectionable and improper moral restriction has led to the blocking of several sites by the government although citizens are allowed to use VPN services. Journalists have reported that a form of censorship is restricting freedom of speech in the country, although at present the use of VPS is still legal. Social media posts that could disturb the public order are punishable and classified as a criminal activity although no documentation has been submitted regarding internet censoring, and VPN user remains legal. VPN use is legal in Botswana, and no censoring of the internet proposals have been reported on. WhatsApp was temporarily banned in Brazil in 2015, and the government has attempted several times to introduce other internet restrictions although VPN use remains legal. Several reports have indicated the monitoring of internet use by government and cases have been reported of charges laid due to posts on social media, although VPN use is still legal. The government and attempts monitor Internet usage have been made by the state to control communications via the internet which includes the request to ISP to provide logs on internet access, VPN use is not banned or restricted. Internet use is restricted, and only 9.4% of the entire population use the internet while it is legal to use VPNs. The Burundi government have banned Viber, WhatsApp and even though only an estimated 2% of the over ten million citizens are internet active, the strict restriction is enforced while it is still legal to use VPNs. There is no indication that the government is trying to censor citizen’s internet use and VPN use is legal. Active attempts have been made by the government to censor citizen’s internet use, and Facebook posts have resulted in arrests while VPN use is still legal. English speaking parts of Cameroon have recently been blocked from internet access, and the new law affects twenty percent of the citizens while public threats have been issued against internet users and VPNs are not banned. Considered as one of the countries offering the most freedom to its citizen’s several plans have been submitted to block VPNs in the past although currently, it is legal. During periods of unrest the Central African Republic have banned the use of text messages, and at current the use of VPNs is legal. Chad citizens are restricted and monitored by the government when it comes to internet usage, and at times complete shutdowns have taken place, while the use of VPN services is legal. The citizens of Chile are monitored, and data retention laws are progressing, while VPN use is not banned. VPN use is illegal in China, and VPN providers have been sentenced, while Apple App Store was requested by the government to remove all VPN apps. VPNs can be used legally by citizens of Colombia and internet access are mostly unrestricted. The citizens of Comoros enjoy uncensored access to the internet, and it is legal to use VPN. In the Democratic Republic of the Congo, the use of VPNs is legal although the country has made new headlines due to previous shutdowns of internet and image uploading to social media is blocked. Costa Rica residents have seen several changes regarding the freedom of internet use VPN use are not illegal. Unrestricted access to the internet is available to residents of Cote d’Ivoire, and VPN use are legal. Croatia allows citizens the use the unrestricted and uncensored internet usage and VPNs can be used legally. The Cuban government imposes strict censorship regulations, and several sites have been blocked while no VPN use is legal. VPN use is legal, and in Curacao, there are currently no reports of censorship by the government on internet use. Cyprus residents enjoy internet access without any censorship or government restriction, and there is no legal reason not to use VPNs. Czech residents are not restricted when it comes to internet use, and the proposal by the government that all users should have unique internet identification in 2016 was protested by the citizens who also can use VPNs legally. In Djibouti, citizens can use VPNs legally even though they do not enjoy unrestricted use or privacy of the internet. Dominica does not exercise internet censorship, and residents can legally use VPNs. The Dominican Republic is yet another country where the residents are not restricted in internet use, and VPNs can be used legally. The country has an internet controversy history, and illegal shutdowns have occurred in the past although VPN use is not illegal. VPNs are legal in Egypt, and recently the government has blocked all VoIP services which includes Skype and FaceTime. Regarding issues of freedom of information, El Salvador has often been in the news although no reports have been published of censorships and VPN use is legal. Equatorial Guinea, residents have the right to legally use VPNs although its history shows several issues regarding citizens freedom of speech and the press. Known for its strict control and censorship, Eritrea allows the use of VPNs although only a tiny percentage of the residents actually have access to the internet. Estonia is a free country and was one of the top countries when it came to freedom in 2012 while VPN services are legal. It is a crime in the country to use any VoIP services although the use of VPNs is not currently illegal. Fiji residents can use VPNs legally and enjoy unrestricted internet access. The government in Finland have been criticised for using a failed filtering initiative although VPN use is legal. In France, the government monitors internet usage in order to prevent crimes and prevent terrorism. Thousands of sites are blocked annually, and hefty fines for tracking user data have been imposed on Facebook, while it remains legal to use VPNs. Gabon residents can legally use VPNs, aside from permanent blocking and temporary shutdowns of sites like Twitter, the government imposed curfew allows residents only 12 hours a day internet access. Gambia, during election periods, is known for restricting access to the internet. However, it is legal to make use of VPN services in the country. In Georgia, it is legal to use VPNs, although, the back and forth censorship and monitoring of the country have in left a lot of grey areas regarding how closely internet activities are monitored and by whom. After experiencing its fair share of controversy, German, with respect to the internet have taken a back step in censoring social media and allows the use of VPNs. Ghana is the most forward-thinking African countries with regards to democracy and freedom. However, this country’s recent politically-motivated shutdown of social media has caused lots of resistance while VPN use remains legal. Greece’s government attempts to impose internet censorship via blocking several online sites although no mention of VPN services is part of the actions and basically VPNs are legal. In Grenada, VPS use is legal, and no internet restrictions are in place although a massive fine awaits anyone insulting someone online. Not known for freedom of speech, Guatemala citizens do enjoy online privacy and VPNs are legal. VPNs are legal in Guinea, and all residents enjoy unrestricted internet access. In Guinea-Bissau VPN use is not restricted and the citizens can also use the internet without any restriction. Guyana does not censor, or restricted internet usage or freedom and VPNs are legal. Haiti, citizens, have no censorship or blocking hassles when it comes to internet usage and VPNs are legal. In Honduras, VPN use is legal, although the government controls internet usage. Hungary has monitoring and censorship in various forms, and the government has tried several times to impose a law banning on end-to-end encryption protocols although VPN usage remains legal in the country. Internet usage is not monitored or limited in Iceland and residents are free to use VPNs. In India VPNs are legal even though several restrictions are imposed on users of internet and government are allowed to request the blackout of specific areas. Indonesian allows the use of VPNs, its citizens experience internet usage censorship, and the government blocks sites such as Netflix and Reddit. VPNs are legal in Iran provided citizens sign up with a VPN provider that is approved and registered by the government due to the main reasons that citizens use VPN to access government-restricted sites such as Twitter, YouTube, and Facebook. A new law recently passed, enables the government of Israel to block content that is inciteful while citizens are allowed to use VPNs legally. Italy recently proposed a new law that requires website managers to censor social and personal mockery. VPN s can be used in Italy legally. Japan has a high rate of 90% internet penetration, and several reports of legislation have been published regarding penalisation of certain online activities while censorships attempts by the government include the use of VPNs, currently still legal. In Jordan, political issues are seen national security threats, and light censorships are imposed on internet use while VPN use is legal. 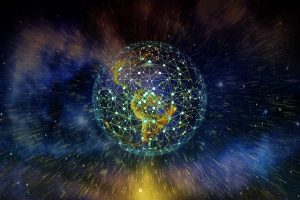 Active internet censorship is present in Kazakhstan and the in the southern region the government has previously blocked mobile networks and disconnected internet service, while VPN use is currently legal in the country. The government real-time access to all electronic communication and granted by the Law of Interception of Telecommunication. Although no reports have featured of such government activities and the use of VPNs are legal. No reported government censorships interference has ever been reported with Latvia citizens internet usage and while even Russia websites are hosted the use of VPNs are also completely legal. The ban of the Wonder Woman by Lebanon became headline news and the reason where that a citizen of Israel starred in it. The country restricts all VoIP usage and VPNs are not currently banned. Less than a quarter of Lesotho residents use the internet, and with the really low penetration of internet the government has not tried to restrict or censor the use of internet, and it is legal to use a VPN. Internet penetration is very low in Madagascar, and apart from the occasional censorship, the country allows internet freedom while it is legal to use VPNs. In 2011, Najib Razak, the Prime Minister of Malaysia promised that censorship would never be allowed, although site blocking took place after the reported 2015 corruption scandal, which did not affect the legal use of VPNs. Websites are regularly blocked by the government of Maldives when it is anti-Islamic or immoral in content, while VPN use is not banned. In Mali, internet adaption has been slow due to unreliable and very slow connectivity, and thus far very little interference from the government have been experienced by the citizens, while it is also legal to use VPNs. Thousands of Malta residents have protested recently against the Maltese government bill; citizens felt it would be used to pretext online censorship, although the government strongly disagreed and the use of VPNs remain legal. The ICT Act offers the government of Mauritius the right to block any internet content due to the way it is worded and Facebook access has been blocked in the past. The use of VPN services is legal, and lately, no social media sites have been blocked. Apart from everything else that is wrong in Mozambique, the government was also found spying on its resident’s internet activities as well as reading WhatsApp messages, listening to private calls and monitoring activities on social media. It is one of the countries where citizens are basically forced to use VPNs to enjoy privacy and thankfully the government has not yet blocked the use of VPN services. When it comes to Latin American Countries, Mexico offers the most freedom, and while the citizens are used to very little government interference, journalists have reported threats from cartels. The cartels have a history of threatening both the press and government. In Mexico VPN use are legal, and there is no reason to believe it will change anytime soon. Citizens and the rest of the world were shocked by the news that the government of Morocco banned the use of Facebook Messenger, Viber, VoIP sites and WhatsApp. VPN use has not been outlawed by the North African country yet. The Nauru government have blocked numerous sites including Facebook, this action was explained as ways to protect citizens from abuse. The government has not illegalised the use of VPNs, and it offers citizens a way around the restrictions. By 2014, almost 93% of Netherlands population was using the internet, and it is a vital part of the citizens daily life and activities. The country is known for its freedom, and in general, no internet bans are in place, and VPN use is legal. Internet user’s activities are closely monitored by the government of New Zealand, and in 2010 an internet filter was installed by the government although no news has been reported on internet suppression in the country and VPN use is still legal. VPN use is both legal and illegal in North Korea, a country that ranks top when it comes to any form of censorship. Government blacked sites include all social media sites including Twitter, Facebook and YouTube and when it comes to VPN use there are mixed reports on the legality of VPN use, which seems to be a grey area in the country. In Norway, around 97% of all citizens use the internet on a daily or at least regular basis, and it is indeed one of the highest internet penetrated countries in the world. The government of Norway is not trying to restrict access to the internet, and it is completely legal to use VPN services. In Oman, the media is strictly censored and so is internet activities. An internet service manual is available and lists all crimes that citizens are not allowed to commit on the internet. The use of VPNs is strictly prohibited in Oman. Even though VPN use has not been banned in Pakistan the country is extremely strict and banned, or blocked sites include Flickr, Facebook, and one of the biggest surprises is that even Wikipedia is blocked. YouTube was banned from all other social media sites although the ban is now lifted and several filtering systems are in place to view and control search results of citizens. In Palestine, the government actively censor citizens activities on the internet including opposition media. The government has also blocked and shut down numerous websites while the use of VPN services is legal in the country. Residents of Panama enjoy complete access to the internet, and no reports have been published on the government attempting to censor or block websites while it is also legal to use VPN services. When it comes to internet freedom, usage, and rights, Paraguay citizens live in a free country, and the government is not aiming to change this soon according to reports while citizens are also free to make use of VPNs. Peruvians enjoy complete freedom in internet accessibility, and Peru offers a free and safe environment for all while the use of VPNs is legal. The Philippines government have made attempts to censor or block any websites and citizens can enjoy full access to the internet and VPN use. Rated as a free and fair country, Poland respects the privacy of its resident’s internet rights, although a surveillance and anti-terrorism law were introduced by the government, which gives it the right to block websites. While this action has been criticised the use of VPNs remain legal. There is no reports or signs of the government of Portugal trying to interfere with citizens’ rights to freedom, and no sites have been blocked while the use of VPNs is also not banned or restricted. Obscene content is blocked by the government of Qatar while several innocent sites have also been blocked and no explanation have been offered since the government has made it clear repeatedly that it is not involved with site blocking. The current law allows ISPs in charge and in the Middle East VPN use remains legal. While Romania has always been respected for its freedom of citizens internet rights, the country faced huge criticism when it changed its laws to introduce gambling website control, and it is said that the law is just the start of censorship on other internet activities. The use of legal VPN in the country remained unchanged. A new bill has been signed, and the censorship of internet has drastically increased, which marked the start of VPN ban in Russia. It is not clear if the ban on VPN services includes punishment for VPN use as is the case in China. The Russia VPN ban is believed to have stemmed from the ruling in China. It is also believed that the law was implemented to ban VPN and is not so much focused on blocking websites as it pretends to be. The government in Serbia is often referred to as an abuser of internet rights, and it is not unusual for sites to be taken offline for criticising the performance of the government. The government has not illegalised the use of VPN services yet, which offers citizens a way around all the blockages. Recently the activities of the government trying to restrict access to the internet have been an action strongly criticised by the media and the residents of the Seychelles. The use of VPNs has become a popular option since it is still legal. Several forms of censorship have been reported in Singapore, and numerous political websites shut down while the use of VPNs is still legal. The government in Slovakia, in general, have not interfered with rights of internet users and only small instance have been reported of restrictions while the legal use of VPNs remains legal and unchanged. VPN use is legal in Slovenia were around seventy-three percent of the citizens use the internet. Government is not attempting to change the law at current regarding internet censorship, and no sites have been blocked or restricted. While the use of VPNs remains legal in South Africa, the government have been criticised for implementing the worth censorship on the African continent in the bill relating to online regulation policies. The citizens are still quite free when it comes to internet use although online gambling is illegal. Spain has always been respected for the freedom and right it offers its citizens although this changed with the recent proposal by the Prime Minister to ban all social sites. The use of VPNs is unchanged and currently remains legal. Several reports have been issued regarding the government in Sri Lanka censoring the internet activities of its citizens, which includes the blocking of websites. The use of VPN services remains unchanged and is currently still legal. In Sudan, the arrest of internet users, internet café raiding and the shutdowns of the internet is not an uncommon affair. The government is currently improving the internet freedom terms and citizens are still allowed to legally use VPNs. A bill was proposed by this East Asian country years ago that offered it powers that are similar to that of China regarding censorship of internet activities. So far, the rights have not been used by the government to shut down sites, and VPN use also remain legal. In a country known for its no internet interference policy, several reports have surfaced regarding ISPs banning sites such as WikiLeaks and news outlets. No laws have been passed on making the use of VPNs illegal, and citizens can use VPNs currently. The Internet Regularity Agency have been given full power to censor and block internet websites since the pass of the 2015 Communication Amendment without any involvement of a judge, while the government also have the power to censor internet sites due to other laws although VPN usage has not been banned and is still legal in Tonga. The twenty-fifth prime minister of Turkey recently expressed his social media dislike which initiated the blocking by his administration of several online websites. It was also the start of VPN use being banned, and currently, it is illegal to use VPNs in Turkey. While it was believed for many years that there was no active censorship of the internet in Ukraine the opposite was recently proofed when several of the most popular social media sites were blocked and banned by the government. No reports have been published regarding VPN use, and it remains legal. The United Arab Emirates recently announced the ban on VPN services and if citizens of the UAE continue to use VPNs the are imprisoned and can be fined up to £412,240 according to the law. Most would believe that the UK is free from censorships, although recently news reached the world of the banning in the UK of several commercial VPN services due to security reasons. Apart from the banned VPN services the use of other VPNs is still legal. Added to the Reporters without borders list in 2014, of enemies of the internet, the USA was accused of undermining the confidence of its own internet security standards. Due to the many leaks regarding the government’s surveillance activities have questioned the state of the freedom of speech. VPN use is legal in the USA. In Uruguay VPN use are legal, and there have been no reports of internet censorship by the government. Vatican City citizens enjoy uncensored internet use, and the government has not attempted to block or ban any websites, while it is also legal to use VPNs in the country. In Venezuela, the government has blocked several sites including just about every major social network including Zello, Facebook, WhatsApp, and Twitter. Citizens can still get around the restriction by using VPNs, which are currently still legal in the country. Even before the pass of Decree 72, Vietnam already had a really bad reputation for its attempts to block sites and censoring all internet activities. The Decree 72 basically gives the government of Vietnam the power to censor any active internet use claiming it is in the name of national security. Citizens can still use VPN services legally.